This entry was posted in science and tagged amman, astronomy, venus by yaman. Bookmark the permalink. If I may ask, where did you get this pair of binoculars? They are not found anywhere in Amman! I am currently out of country and I bought Celestron SkyMaster 15×70 pair, and thinking that I would come back home this summer and use them for star gazing in Wadi Rum! But I was told they might be confiscated at the airport. 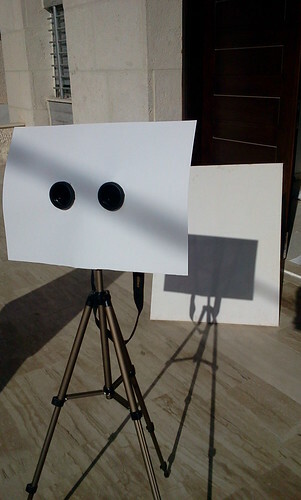 A friend of mine ordered a small starter telescope two years ago and they took it Ssaying it is illegal in Jordan to have binos or telescopes. This is plain stupid IMO, anyone here in the west owns a pair and looks onto the night sky! Hello Amer. I actually got it from KSA and no one even asked me about it. I wouldn’t hesitate to confront customs even if they asked to explain the no-risk argument. I’m not sure where they could be bought at but I would check hunting equipment shops; there are a couple in Jabal Amman, one in Rainbow St. Check them out.